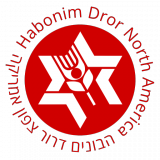 Building Progressive Zionist Activists: Exploring the Impact of Habonim Dror, authored by Prof. Steven M. Cohen and Steven Fink describes evidence of the life-long impact that the Habonim Dror youth movement has had on its participants. The report draws upon a survey of nearly 2,000 alumni of Habonim Dror camps and other programs, ages 20 to 83. 85% visited Israel more than once and 70% had lived in Israel for at least 5 months. 64% contribute to a social change oriented charity without a specific Jewish sponsorship or Israel focus. Some Jewish communal leaders’ reactions to the study follow. Posted in Blog, Habonim Dror, Leadership, News, Parents, Resources and tagged research, Steven M. Cohen.